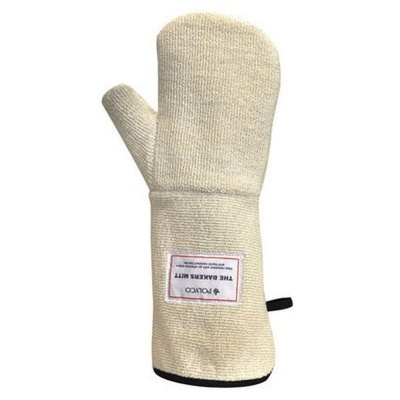 The Polyco Bakers Mitt Heat Protection Gloves 7724 are specially designed to protect against heat, cuts and abrasions. 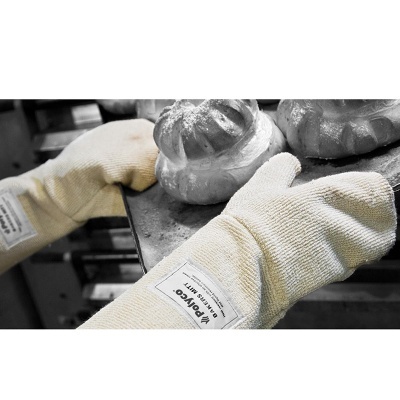 Fitted with an inbuilt liquid and steam barrier, these gloves can withstand temperatures of up to 250°C. 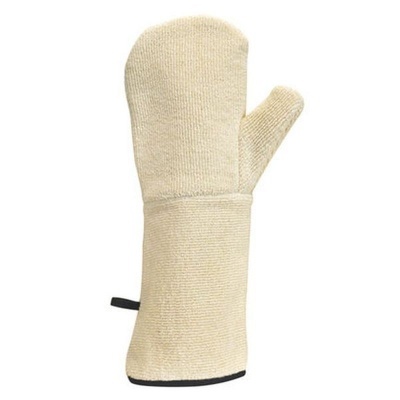 With good protection against abrasions and cuts and the design being easy to don and doff, these mittens are ideal for a busy kitchen environment. The Polyco Bakers Mitt Heat Protection Gloves are available in one universal size that should suit most users.